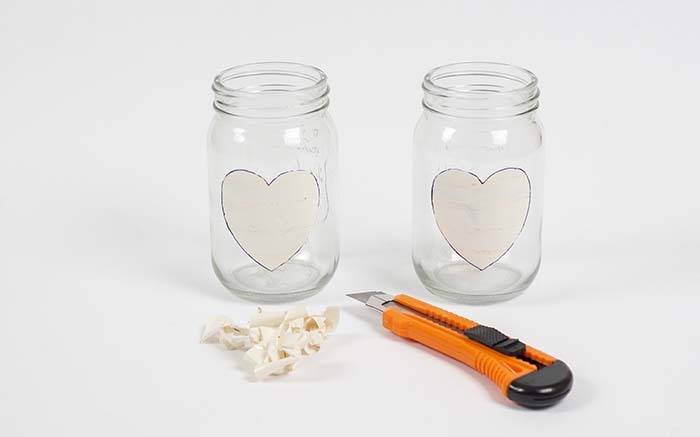 I was planning to craft these Mason jars for Valentine’s Day for a long time, however, I was struggling to find enough free time. Anyway, I finally bought red and pink paint and some ribbons and I got ready for the project. 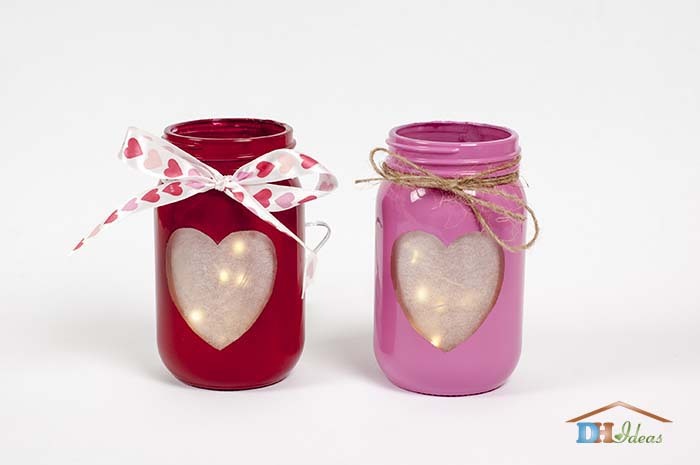 Even though they were created as a Valentine’s Day decorations, they could be used for any romantic occasion or girly home decor. Although it does not seem difficult, there are some small details that it’s good to take into consideration at the beginning. I learned them the hard way so I would be more than happy to share my knowledge with you, fellow readers. To start, have a look at the list of additional materials you will need. 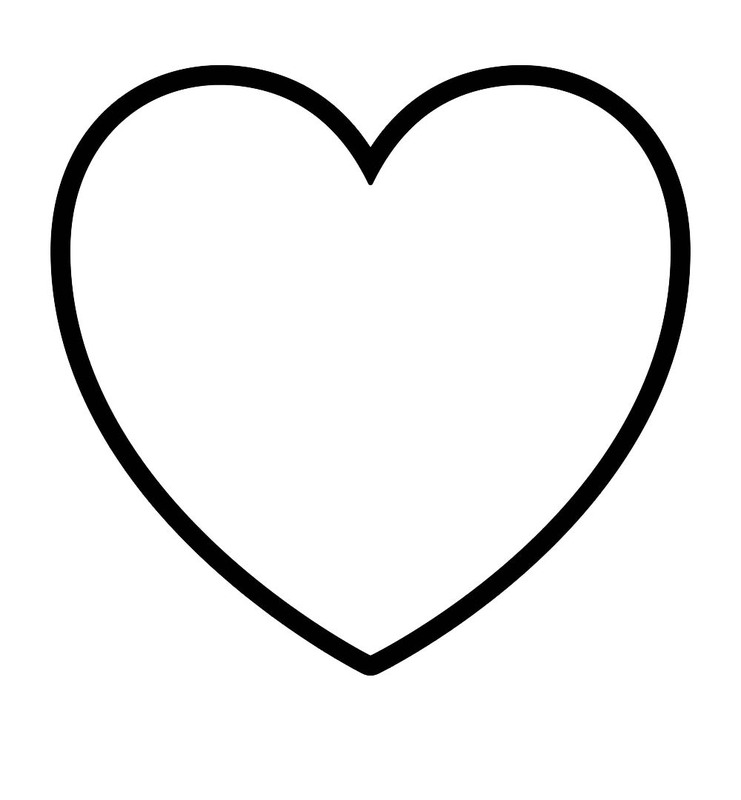 Print the heart template out. Scale it accurately so that it can be symmetrical to the size of the jar you’ve chosen. 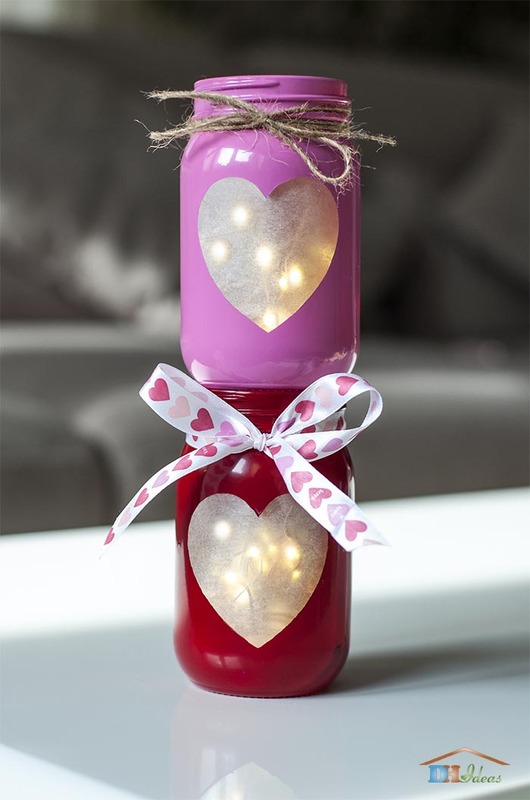 Stick a few tape strips of the patch horizontally onto the jar so that it can fully hold the heart. Make sure that the patch is tightly glued, otherwise, the paint will come in, which you must then clean. 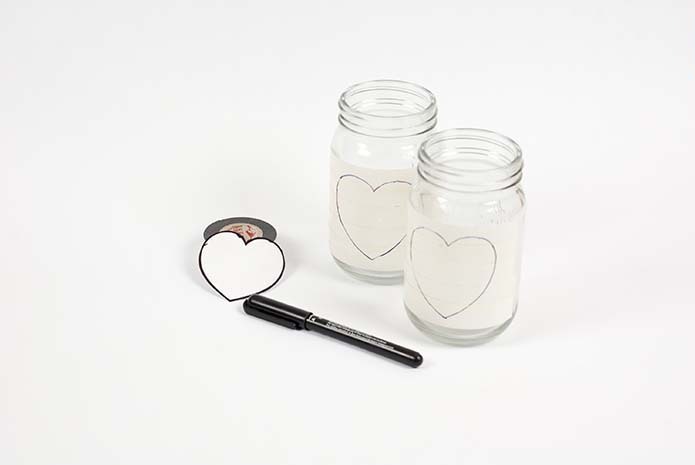 Put the heart pattern on the strips of tape by holding it with one hand centered and upright, and with the other hand using the marker, outline the contour. Cut the heart along the contour with the box cutter knife. Be careful, this process requires lots of precision and attention. Make sure you won’t ruin your heart pattern and cut some of your fingers with a knife. After cutting the heart along the contour, gently peel off the patch around the contour of the heart. 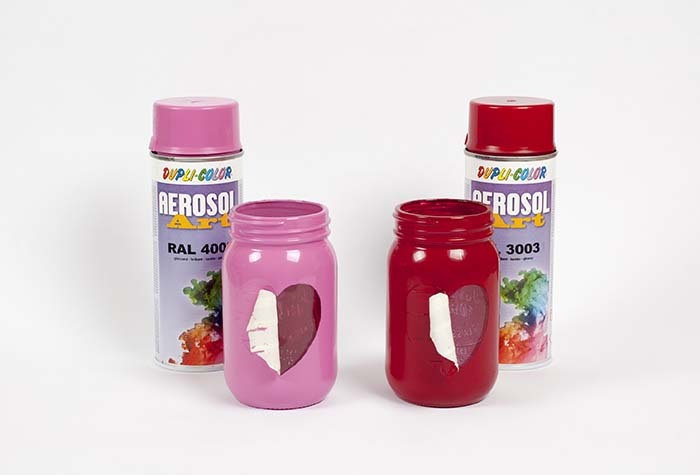 Now it is time to paint the jar in the color you’ve chosen (I would suggest red or pink). To make it easier for you, put the jar on a stand so you can spray it evenly on each side. Keep in mind that the spray tends to glide, so, in order to make it even, you can first try a piece of wood or another useless object to get used to the force of pressure. After finish with the painting, wait for the jar to dry out (at least for 24 hours) and if necessary, you can make a second layer. Be careful with the black permanent marker that can be easily degraded by the chemicals in the paint and starts leaking on the already painted surface. Therefore, it is nice to cut the contour with the knife on the inside of the heart so that no marker remains on the tape. Once you’re done with painting, gently peel off the patch to leave only the shape of a heart. Here is a hint: If your jar is as transparent as mine, use a piece of baking paper or other matte paper to put on the inside of the jar. You can leave it as it is, however, the LED lighting is too bright and I personally did not like it. Decorate with some twine or ribbon by making a few turns around the neck of the jar and finally make a tie bow. Put the LED lights inside the jar and you are done! 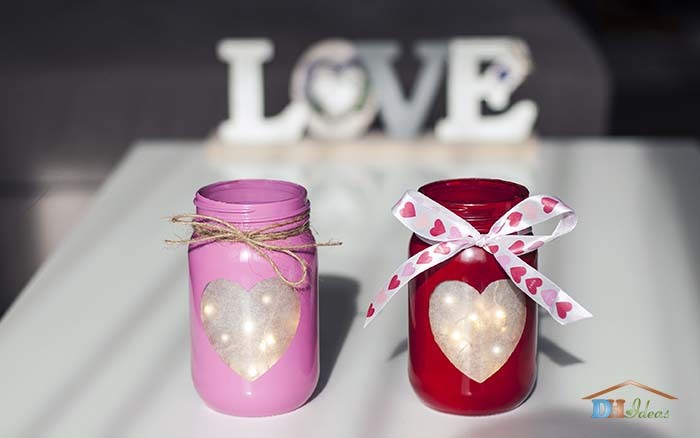 You can now enjoy a wonderful home decoration for Saint Valentine’s as well as any romantic moment. The hardest part is to paint the jar evenly, so prepare a stand to put the jar so it is stable and you can get around on all sides. 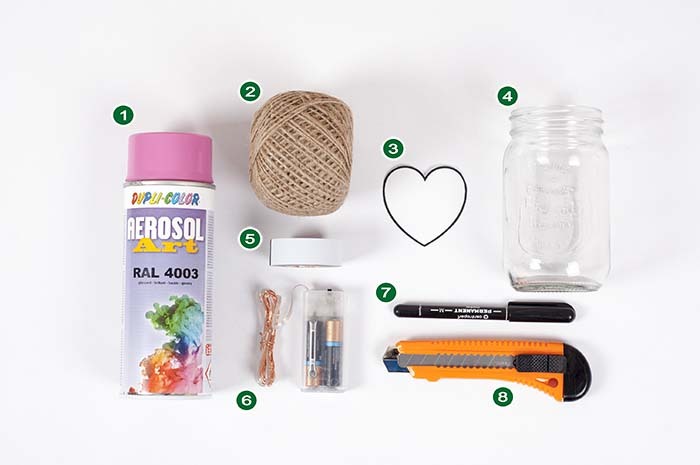 Try it out on a trial jar to get used to the painting method and notice if the paint runs too much or not. This will help you decide how tightly to cover with the spray. Glossy paint is usually more tricky to use than matt one because it is more visible if there are unevenly painted areas. It is easy to clean the paint with a simple paint thinner and a piece of cloth, or you can just scrape it if it is not firmly gripped. I hope you like this DIY project! Since I made them, these jars are often present in the decoration when I want to add a bit more romance to the home interior.